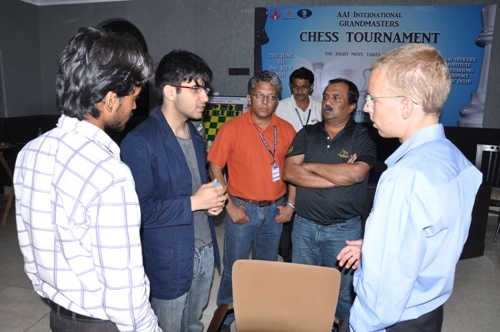 New Delhi, June 25: It was mixed luck for the Indian fans as Krishnan Sasikiran won his second successive game but National champion Parimarjan Negi lost his game in the fourth round of the inaugural AAI Grandmasters Chess Championships at the AAI Officer’s Institute on Saturday. For the second day running Sasi played out a marathon game before beating Hou Yifan to haul himself back into the tournament. But before that Negi lost to the higher rated Viktor Laznicka. In the first game to finish on Saturday, leader Fabiano Caruana drew with Filipino Wesley So in 32 moves. 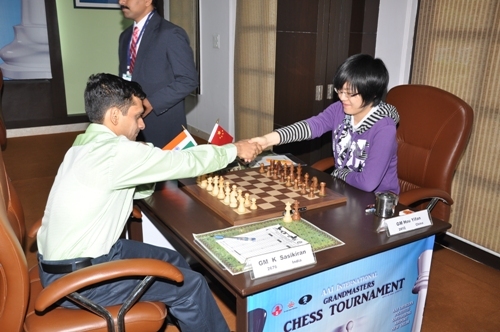 Sasikiran and Hou Yifan were engaged in a Catalan Classical that lasted 62 moves. Sasi looked like winning way ahead, but mistakes from either side prolonged the game, though in the end the Indian benefitted from Hou’s monumental blunder on 36th. “Anyway it is good to get a second successive win. Now that brings me to 50 % at this stage,” he added. Parimarjan Negi said he felt he had draw chances before he overlooked Laznicka’s 51st move Qf6. “That was something I overlooked and from there on I lost. It was a sharp game,” he added. Playing against Caruana the Filipino Wesley So confessed to being still disappointed with his second round loss to Laznicka. 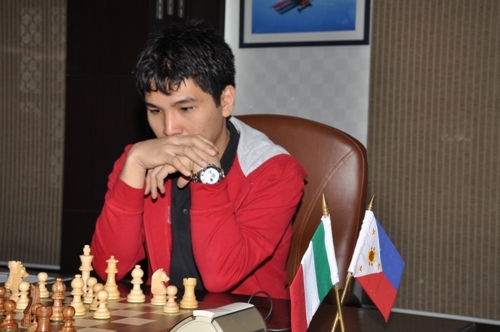 In a Guico Piano battle, also called the Italian, leader Caruana drew in 32 moves against Filipino Wesley So. That helped him keep his nose ahead in the 10-round double round-robin game. Late last night, Sasikiran, who had lost his first two games, played white in a Catalan Opening and held an advantage over Laznicka for most of the game. The Czech player put up a spirited defense and hung in there for a long time, but once he opened his position he seemed to be creating weaknesses for himself. Then into the third time control, Laznicka finally resigned and gave the Indian a well-deserved win. “It is good to score a win finally. In the last game I thought I had a chance but allowed it to get away and lost. 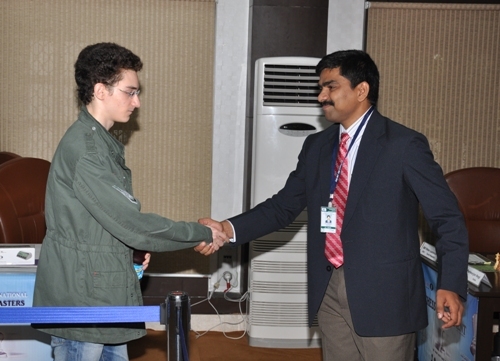 Today I knew I had the edge and was able to get that full point,” said the ONGC officer Sasi. 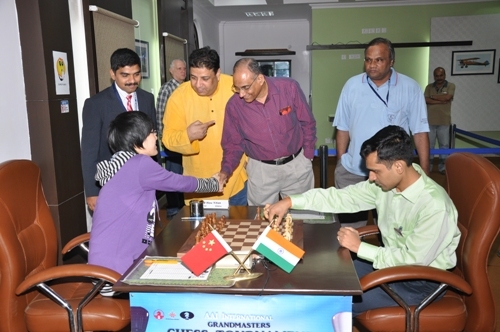 The games in the fourth round were inaugurated by Mr. DV Sundar, the current Secretary of the All India Chess Federation.